It is with profound sadness that the Board of Directors, officers, and the membership of the National Alliance of Black School Educators (NABSE) mourn the passing of Dr. Charles D. Moody, Sr., a history maker in education. The loss of this great leader is being felt by educators around the world. Dr. Moody passed at the age of 86 on March 2, 2019, in Las Vegas where he lived in retirement with his wife Christella. Our thoughts are with his family and friends and we extend our deepest sympathies. 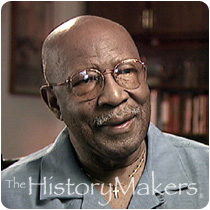 Recognized as one of the founders of NABSE, Dr. Moody influenced countless lives for their betterment. Dr. Moody spent his life serving others through his work in the field of education. He began his career as a teacher and went on to become the superintendent of the Harvey, Illinois Public Schools in 1968. Joining the education faculty of the University of Michigan in 1970, Dr. Moody held many positions there before becoming vice provost emeritus and professor emeritus in 1997. His 1970 dissertation on black superintendents served as the cornerstone and impetus for the formation of the National Alliance of Black School Educators, (NABSE). On November 20, 1970, while completing his dissertation examining school systems led by black superintendents, Dr. Moody invited several African-American superintendents to a meeting at the O’Hare Marriott Hotel in Chicago, Illinois. The purpose of the meeting was to share concerns; develop a resource pool; identify programs and situations unique to school systems with high percentages of ethnic minorities, especially African-American youth; and to form an organization of black school superintendents. More than forty school systems headed by African-American superintendents were identified, and a study of their common concerns prompted those superintendents to form the National Alliance of Black School Superintendents (NABSS). The purpose of NABSS was to address problems common to African-American educators working toward effective public schools in districts with predominately African-American student populations. In April 1973, NABSS voted to expand its membership to include administrators in public schools, education associations, and institutions of higher education, and the name was changed to NABSE. We will honor Dr. Moody’s memory by dedicating ourselves to continuing the work he and his peers initiated through NABSE. His legacy will forever be present in the organization’s mission and efforts.